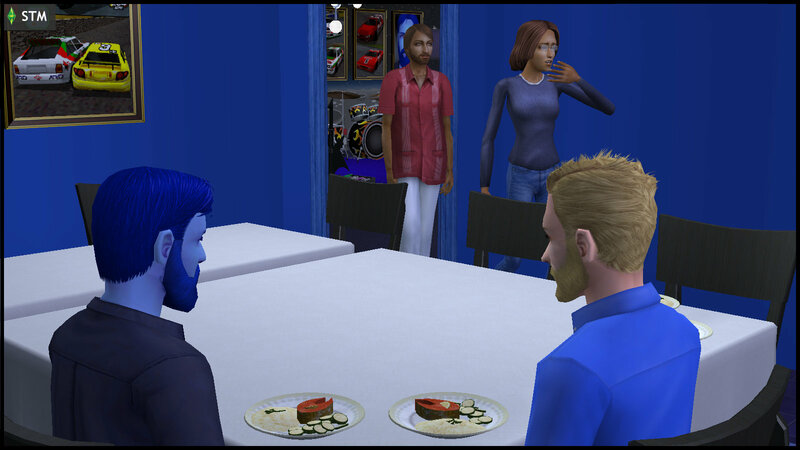 Bianca Monty leaves the dining room, and walks up to the indoor balcony. Antonio follows her. Bianca Monty: (thinking aloud) My Kent, or not my Kent… that is the question. An imposter, all this while, and I couldn’t even tell. Antonio Monty: (thinking) Oh fringe. She’s getting philosophical. Bianca: Why would Hyde promise to bring back Kent, but substitute him with a biological double? Bianca: Not now, Antonio. I need to clear my head. Antonio: Very well. You know I’m here for you. 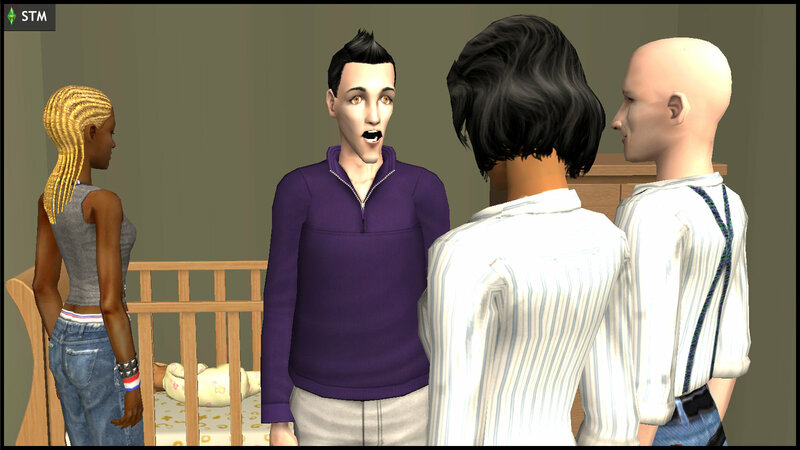 Bianca: Antonio… Kent and Hyde had been messing with me all along. I’m not sure if I trust men anymore… (Antonio smiles) … except you, my brother. Antonio: Sister, how was your relationship with this Kent? Bianca: He was nice. I enjoyed spending time with him. I’m not sure if it’s all a lie. Antonio: Bianca, when you were at the hospital long ago after the Veronaville Disaster, you cried when you found out you lost Kent. But now, you have a second chance to be with him. Antonio: But you just said you enjoyed being with him. Listen, he may not be the Kent you wanted, but he’s the Kent you have now. Bianca: This Kent even looks like Dr Hyde now. Any surprise they are in it together? Antonio: They work closely together on some top secret stuff, am I right? Bianca: Not just that. 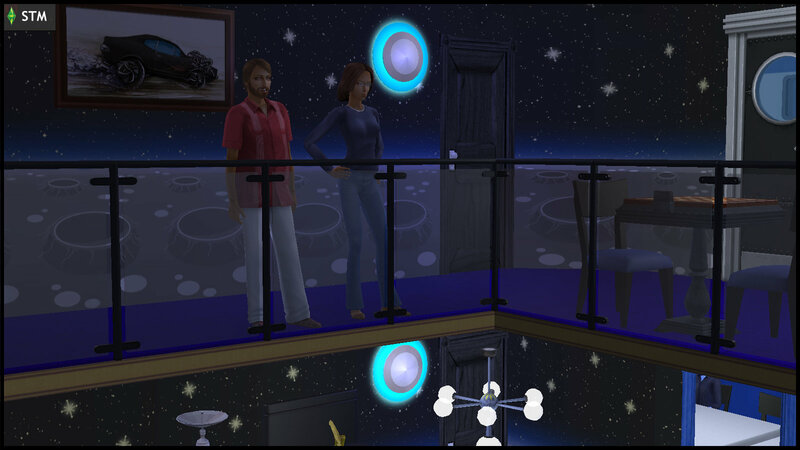 Hyde is the Watcher over our Sims Universe. That’s why his projects are untouchable. Antonio: What? Say that again? 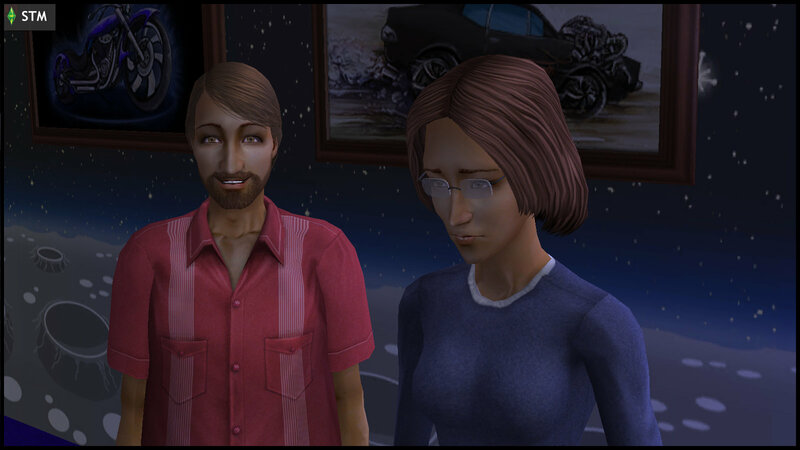 Bianca: Dr Prometheus Hyde is the Watcher over our Sims Universe. Antonio: Are you sure? Why didn’t you tell me earlier? (pause) Listen, I’m not asking you to accept Kent now. But at least give him a chance to tell his story. Kent Capp: Oh boolprop. We should’ve told her right from the start. Prometheus Hyde: But you were afraid she would treat you as an “alternate Kent”. You wanted to be HER Kent. 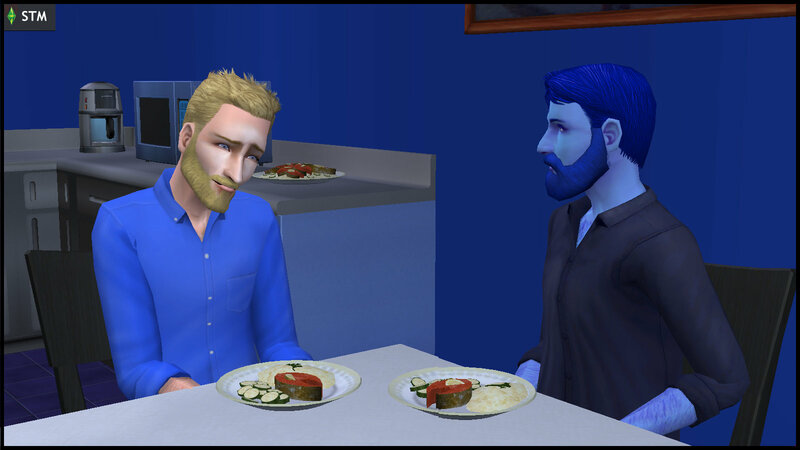 Kent: But now… I hope she’s still willing to be my friend. Hyde: Just be sincere, and tell her the full story. Kent: You sound so confident. Are you really a Watcher, or just some scientist who can do magic? Hyde: I AM a Watcher, but science may look like magic if you are unsure of the principles behind it. Bianca and Antonio re-enter the dining room. If you had told me that you were going to send me a “Kenternate”, I would mentally prepare myself to accept it. Hyde: I only said your reward was a “living and breathing Kent Capp”. I didn’t explicitly say that he was necessarily the Kent you grew up with. Bianca: You’re saying that I just assumed you were going to give me my “original” Kent? (to Kent) Sorry, no offense. Hyde: Exactly. You were too excited to notice the nuances of what I said. Atom Beaker: Ceres, there are no other life forms on board the ship. Are those two alive? Ceres Beaker: Neither of them. Atom: What a break! 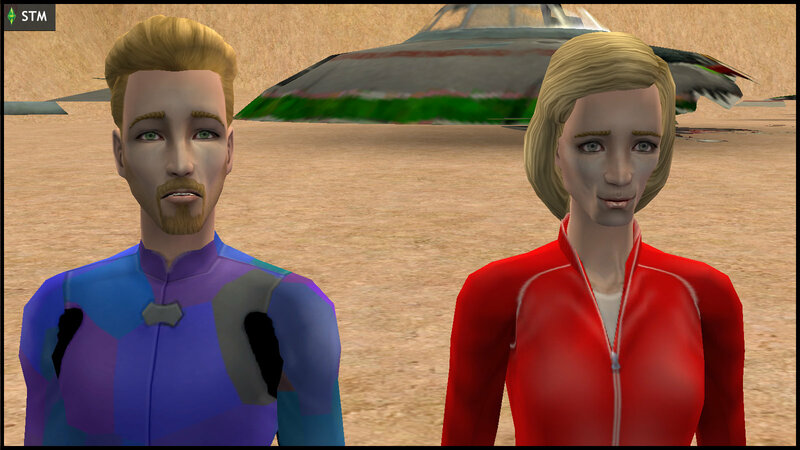 We have two new cadavers to bring back to Oasis Landing. Ceres: No fringin’ way, Atom. We can take some DNA samples, but we’re giving them a proper burial here. Atom: Can you read the man’s mind to get his name? I only managed to get the woman’s… “Bella Goth”. Atom: It’s a wonder that we can even read anything, considering that their DNA went through excessive mutations. 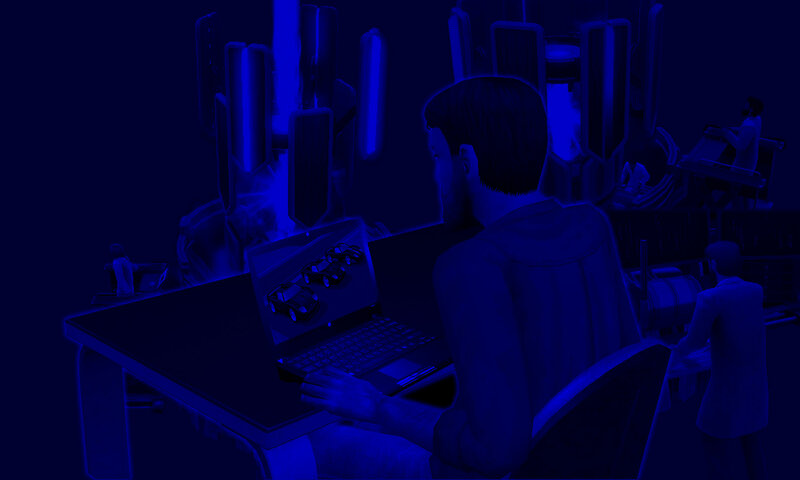 Ceres: The man’s mutations are more complex than Bella Goth’s. Atom: Can’t wait to find out. To think this is the first thing we encounter on our “holiday” here in Lunar Lakes. Ceres: On the bright side, we’ve got some delightfully interesting samples to bring back to Oasis Landing. Atom: Wish we could tell Dad. Ceres: Yeah. Don’t know why our connection to him suddenly broke, and we haven’t found a way to fix it, even after trying for such a long time. Ceres: Yeah… if only Mom cared about us like Dad does. I won’t put it past HER to cut the connection, if she finally had a baby with Dad. A “natural” baby with her genes, unlike us genetically-engineered clones of Loki Beaker. Atom: That’s so unfair. I’d like to meet our new sibling, if we have one. Ophelia Nigmos: Cousin Nick, I don’t feel good about this. Nick Grimm / Nervous Subject: Come on, Ophelia. It’ll be fine. Their baby will be fine. James Windmark / Loki Beaker: Oh boolprop. It’s Nervous and the old witch’s niece. Susan Windmark / Circe Beaker: Let’s keep quiet. Hopefully they’ll leave. The doorbell rings twice more. James: They don’t look like they’re going away. James: Hi, Mr Grimm. Hi, Ophelia. Please come in. Nick: James, how’s the baby? James: Susan had a strange and difficult pregnancy, but mother and baby are well. This way please. Nick: Wow, they grow up so quickly. (pause) Wait a minute. Susan: Nervous, come to Momma. Ophelia: Help! Johnny! Mrs Smith! Mr Smith! Jill! It’s Ophelia! Someone’s going to kill me! Johnny Smith: (opens the door) Ophelia, what’s going on? What happened? Ophelia: Johnny, lock all the doors. Loki and Circe Beaker are back in town! Jenny Smith: Don’t worry, Ophelia. You’re safe here. What happened? Where’s Nick? Ophelia: (crying) They shot Cousin Nick. I’m not sure if he’s still alive. They tried to shoot me too, but I ran as fast as I could. I saw the baby. It looks like Loki and Circe Beaker. Johnny: What do you mean? The baby has Loki’s brow? Ophelia: Yes, and Circe’s skintone. Jenny: PT, I’m calling the cops. The Windmarks are the Beakers. They shot Nick Grimm. Ophelia, don’t worry. You’re safe here. (#) Hyde told Bianca many things in STM 1.11, but Bianca did not see the full implications of some of the intentionally vague remarks. 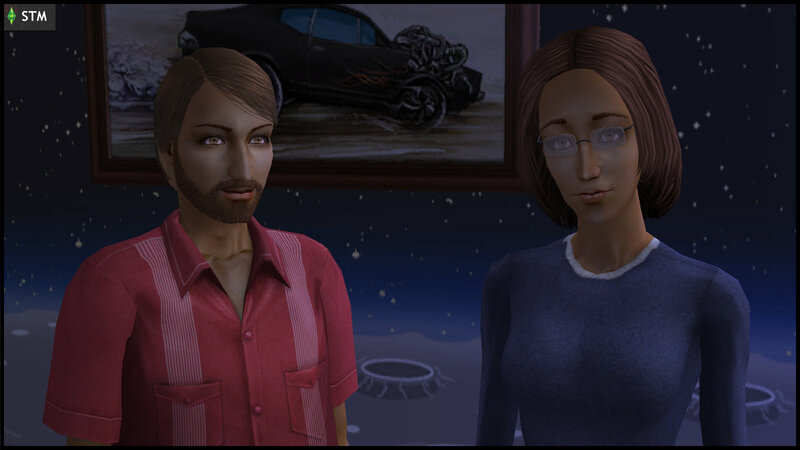 (^) Canonically, only Bella Goth’s grave is found in Lunar Lakes. Similar “Lunar Lakes treatment” had to be applied to Colony Don for this tale. BLOOPER: Another “class” of Fringe Observer happens to walk by, while RM Lumiere delays James Windmark. Now that the can of worms is open, why was a Kent substitution preferable to a resurrection? How different is this Kent’s native universe from the primary STM Universe? Interesting that RM Lumiere tripped up James/Loki as they don’t usually intervene in events. Although I imagine in the case of attempted murder they’d probably make an exception. I predict that James/Loki will lash out at Lumiere with nasty consequences after all he doesn’t have the home-advantage nor the surprise factor any-more. I wonder whether Nick/Nervous will survive his encounter with Susan/Circe as being the son of death could help him survive. Alternatively he could be reunited with his mother and get to meet his father. Perhaps Grim will end up asking Nick/Nervous what his desire is. A lot of stuff going on, and a lot of doppelgangers it seems, what with the aliens too. Those Beaker genes are a dead giveaway. The Beakers in this universe got unlucky. This baby has the “reversed physical appearance” from Albert Beaker in PVCS 2035 (hair/eye/skin color, Loki brow on/off). If it had been Albert instead, most people would have been unlikely to recognize the baby (and parents) so quickly… resulting in significantly less drama. “Kenternate” is a reference to “Walternate Bishop” in the original Fringe series. Technically, there’s also a “Walternate” in the background of STM, the alternate universe counterpart of RM Baptiste.